And we’re off! Day 1 begins with a lovely covered bridge passing en-route to the Aufderheide Scenic Byway. Set your peepers to “awe”as you take in the beautiful scenery along the Middle Fork of the Willamette River to summit at Box Canyon, then along the South Fork of the McKenzie River and past Cougar Reservoir. Today you have to climb for your lunch, but after you eat, the remaining 26 miles are downhill – perfect for those with the need for speed. You’ll pass Cougar Hot Springs (clothing optional, wink wink) and ride over the Belknap Covered Bridge before you reach the McKenzie River and our campsite at the edge of Tokatee Golf Course in Rainbow. We start off on the nice, wide shoulder of Highway 126 for 8 miles before we turn onto the Old McKenzie Highway. At this point, we start a long, gradual ascent towards the summit of the Cascades and Dee Wright Observatory. 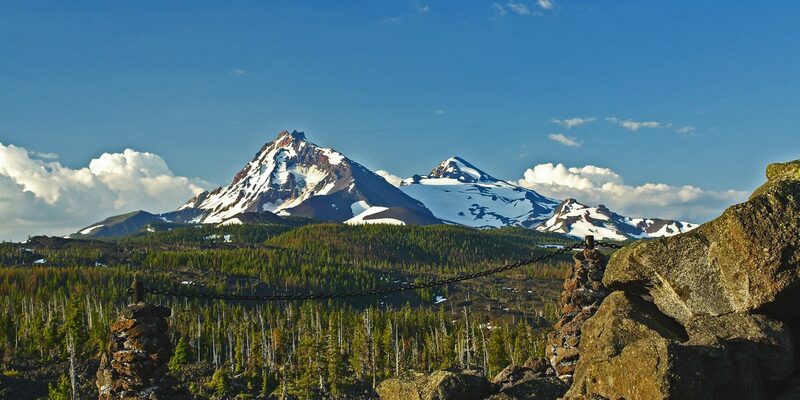 The payoff once you reach the top is a spectacular view of the Three Sisters mountain range. On the way back down, you’ll cruise on 15 miles of righteous downhill stopping in Sisters for lunch. To wrap it up, you have 22.4 miles of generally flat country roads. Once you cross the finish line in Tumalo State Park, it’s time to dip your toes in the river and take ‘er easy for the rest of the day. 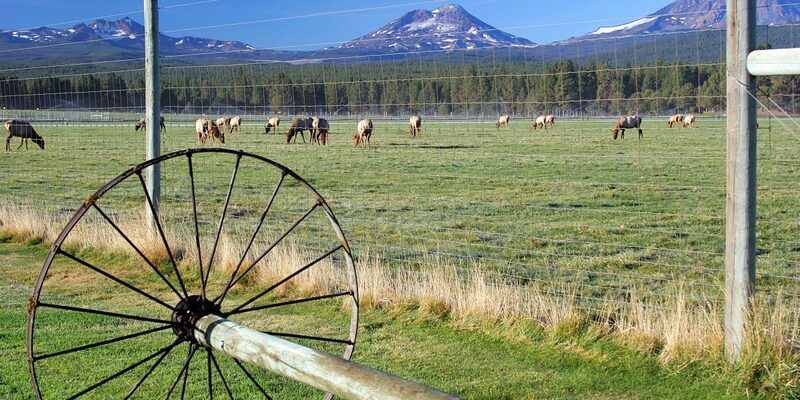 You and your bike tires are both fully pumped as you leave Tumalo State Park and skirt Shevlin Park on country roads, leading the way to Bend. 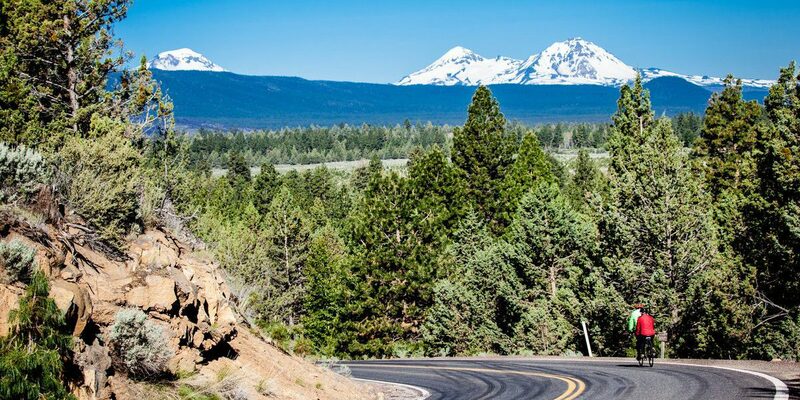 Continue through Bend, fighting the urge to stop for a microbrew every other block as you start your climb up Cascade Lakes Scenic Byway towards Mt. Bachelor. After your 5%-ish 10-mile climb, it’s time to sit back and enjoy 15 miles of downhill towards Sunriver, and then cruise 14 more flat, mellow miles on into La Pine. Hope you got a good night’s sleep last night because today is a long haul, but it’s also a relatively flat one. 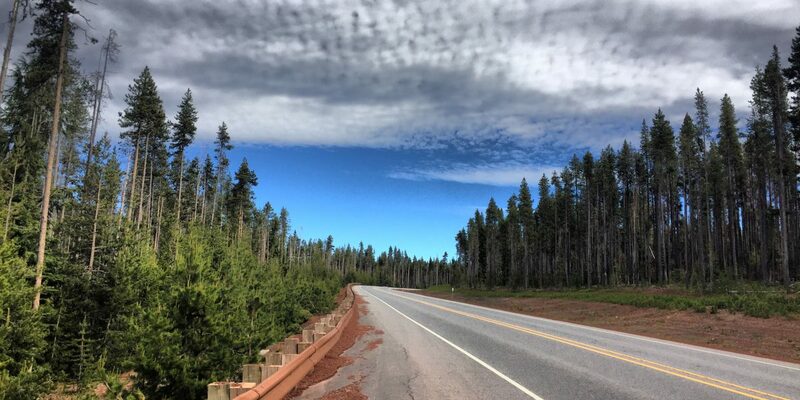 We start by rejoining the beautiful Cascade Lakes Highway as we pass Wickiup Reservoir, Davis Lake and near Crescent Lake, and the day’s only big hill. This 6-mile climb is on one of the straightest highways in Oregon, but don’t let it get in your head – it’s only a 5-6% grade. After summiting, it’s a pleasant four-mile cruise downhill to Diamond Lake where a hot shower and a cold beer will be waiting lakeside. You’ve enjoyed a heaping helping of miles over the last four days and deserve a break, but we know riders love to ride, so we planned some killer options to make the most of this location. Option one: Hang out at Diamond Lake and chill. Option 2: Ride the paved 11-mile loop around Diamond Lake catching glimpses of diamond-shaped Mt. Thielsen and mountain-shaped Diamond Peak. Option 3: We highly recommend this option. 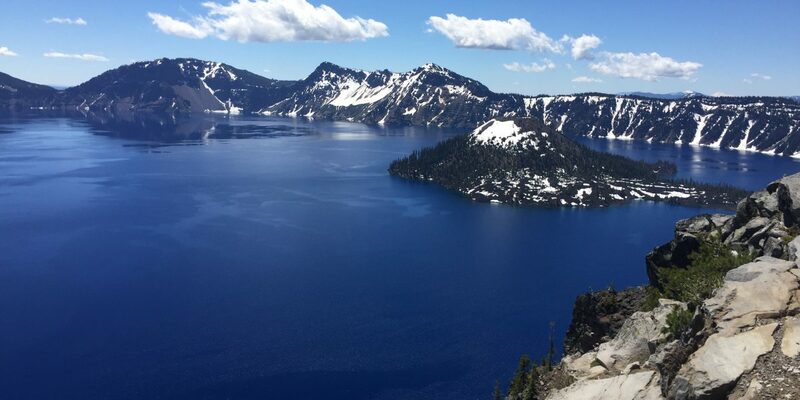 For just a glimpse of Crater Lake, it’s 13 miles uphill from camp to the rim of the lake. 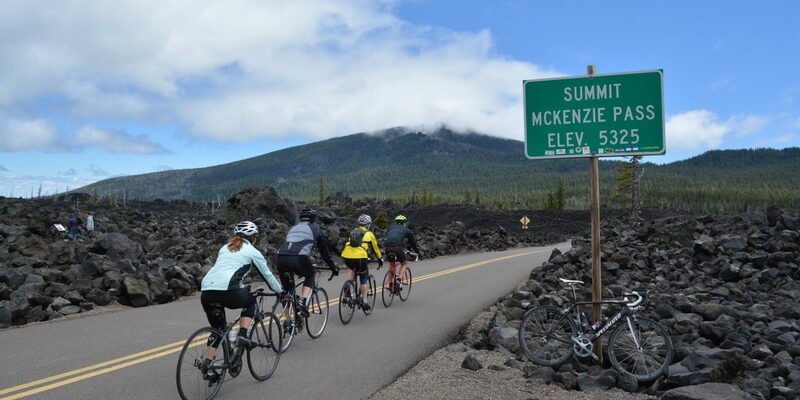 From there you can return to camp or ride to Rim Village and the lodge (6 miles out and back) or you can ride around the entire rim of Crater Lake. This last option is a bucket list ride – the most spectacular 32 miles of bike riding on earth, but also one of the most challenging. There are no flat places on Rim Drive. Back in the saddle, hopefully feeling rested and reinvigorated, today’s route is a real treat. Four miles from Diamond Lake, you hop on Highway 138 for 40 (count ‘em–4-0) miles of glorious downhill. 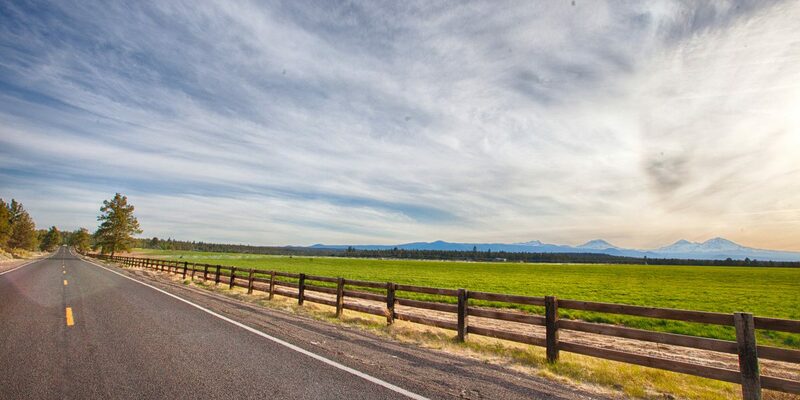 This stretch is a National Scenic Byway and follows the Wild and Scenic Umpqua River. It’s also prime waterfall country. Take a mental note and save the waterfall chasing for another day because today is all about bagging miles. After a quick lunch, you’ll tackle a 13-mile, sometimes steep climb, before finishing up the day on 10 miles of the Row River Trail, a revived railroad track- turned-trail along the shoreline of Dorena Lake. By now you’ve ridden yourself into tip-top cycling condition and your bike welcomes you like an old friend. 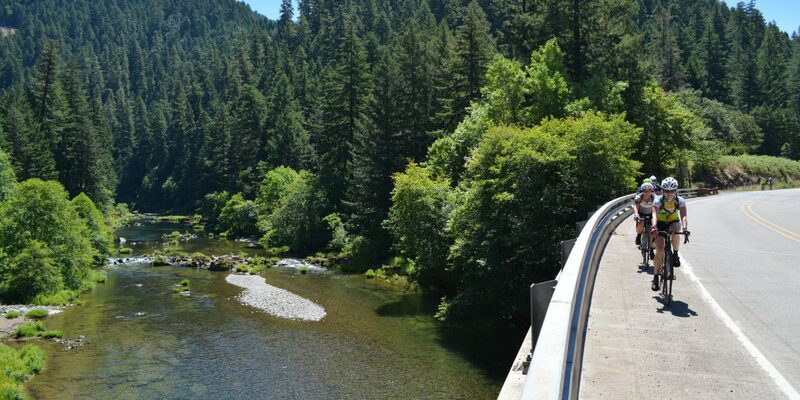 From camp at Dorena Lake, it’s back along the Row River Trail for 11 miles, then around mile 19, you enter Umpqua National Forest where you’ll ride for most of the day. Count the shades of green as you work the logging roads, climbing towards the first of three summits. After the final small climb of the day at mile 39, it’s 20 miles of downhill into Oakridge and the culmination of an incredible week of riding. Once you hit Oakridge, peel off your bibs and put on your party pants, because it’s time to celebrate! Imagine this: You arrive in camp and skip the trip to the baggage truck. Instead you head directly for a primo camping spot, where a spiffy 9′ x 7′ Cycle Oregon tent has been set up for you. Your luggage is waiting outside. And this process repeats itself every day. Tents fit one or two people, and the service costs $460 for the week. Tents will be the same all week, set up by 2 p.m. each day, marked with your tent number. Tents are limited and available on a first-come, first-portered basis, so register early to ensure your spot. If two of you are sharing, only one person signs up for the service. One or two chairs will be provided with each tent. We know some of you are riding with friends and would like to be near each other when you camp, we’ve got you covered. Information regarding group requests will be sent in August. Sleeping bags and pads are not provided, so please don’t forget to bring yours. Cycle Oregon provides week-long parking for riders near camp. Parking passes are available here for $30 until August 22. We will post specific directions to the parking area as we draw closer to the event. Driving directions will also be on the parking pass that will be mailed to you in late August. Security is provided from dusk to dawn. You must purchase bus tickets by August 15th. All buses depart Portland at 10 a.m. on September 7. Return buses will depart Oakridge on September 14 beginning at 2 p.m. Buses will depart from and return to the Sheraton Portland Airport Hotel. If you’re staying elsewhere, check with your lodging provider to see if they will shuttle you to the Sheraton. Tickets will be emailed the first week of September. Staging for buses will take place on Saturday, September 7 at the Sheraton Portland Airport Hotel. Volunteers will be available to help load your bike and luggage. To save time and minimize hassle, bikes will not be boxed but will be wrapped in blankets and loaded directly into the baggage trucks. Be sure to bring your bike case with you. If your bike is still in a case, it can be loaded on the truck in its case. We will have storage at the start location. The Sheraton Portland Airport Hotel is the official hotel of Cycle Oregon, offering a special rate on September 6 and September 14 for our riders (and free week-long parking for guests). For reservations contact Cassie Soratos, the Sheraton Group Coordinator, at (503) 335-2857 (be sure to mention that you are with Cycle Oregon) or book online by clicking here. If you’re flying or don’t want the hassle of dealing with your bike on the way to the event, ship your bike with BikeFlights.com to and from our event. Click here to get started. Be sure to click the Oakridge link on their page to set the delivery address. Your bike will be shipped to a nearby UPS location and delivered to the starting line in advance of the event. Bike Gallery can assemble your bike after you arrive for $65. If you need your bike disassembled and boxed at ride’s end, the fee is $85. Sign up for both for $140. You can pre-pay for both services here until August 30. Are you flying in for the Classic and prefer not to transport your bike? Bike Gallery offers rentals that makes it easy. Bicycle pick-up and return is on-site at the Cycle Oregon starting and ending location. Sizes are limited so call early for reservations 503-281-9800. The idea is to have a relaxing, enjoyable week of riding. The key to that? Take care of as many details as possible beforehand. In our logistics section you’ll find pretty much everything you need to know to make your Cycle Oregon experience a great one. Hot showers will be provided at each overnight site. The showers come with dressing rooms, sinks and even a laundry area to hand-wash clothes. Please remember to bring a towel or two, as we do not provide towels or toiletries. Rider Services is the Cycle Oregon customer service department. You will find the Rider Services trailer in a visible location near the entrance to each overnight campsite. This is the place to ask questions, get help solving a problem, meet friends, leave a note on the message board or locate missing items at lost and found. The Cycle Oregon Gift Shop is where you’ll shop for Cycle Oregon merchandise including cycling gear, t-shirts, sweatshirts, hats, jewelry and much more. You can also buy extra meal tickets there. Look for the Cycle Oregon Gift Shop near Rider Services. A medical tent will be set up at the overnight site. There is no charge for medical services on the course or at the overnight site. We will not transport you to a medical facility unless it is a critical situation. If you require services from a local medical facility, you will be financially responsible. The mission at the Community Cycling Center is to broaden access to bicycling and its benefits. For the past 20 years, they’ve helped you roll smoothly over breathtaking rural roads by offering bike detailing and electronics charging at Cycle Oregon. In past years, your purchase of these services helped them raise an astounding $20,000 for their bike safety programs for youth and adults. Thank you! This year, they will continue to offer top-notch bike detailing performed by skilled volunteers and electronics charging via solar power. Pre-scheduling services with the Community Cycling Center means that you don’t have to worry on site. Avoid the lines and click here to sign up today! Charging Pass ($70): Good for one week, this charging pass allows you to charge multiple devices, one at a time. Extra one-time charges are available on-site for $5 each cash or $6 if paying with a credit card. Power banks larger than 4”x6” will be charged $10 for a one-time charge. Full Bicycle Detail ($85-$95*): Skilled volunteers clean all bike components to help your bike look and act like new. No mechanical adjustments are offered with this service. *Booking your bicycle detail for day one will be $85, day two $90, and the rest of the week will be the standard price of $95. Click here to book now. Questions? Contact [email protected] or call 503-288-8864 ext 326. The majestic mountains of Oregon seem mighty tall when you’re pedaling up them and knowing that a massage awaits you can make that climb a lot easier. After a long day in the saddle, bring your tired legs down to the massage tent. Our therapists use a variety of Swedish, deep-tissue and sports massage styles to keep you riding strong all week. Massage relieves muscle pain and tightness by stimulating circulation, helping you recover after extreme exertion and stopping spasms before they stop you from riding. Massage can be tailored to your pressure preferences and to the areas where you need it most. Pre-booking is available for all rides. To pre-book appointments, please visit the Cycle Oregon Massage Team’s Web site, click on the ride that you would like to book an appointment for, choose a therapist and contact them directly. Massage rates are $100.00 for a 60-minute appointment and $145.00 for a 90-minute appointment. We accept all major cards or cash. A limited number of 30-minute appointments may be available the day of the ride. Come to the massage tent directly to inquire. A little hint, when you’re choosing where to pop your tent for the night, you may want to set up away from the massage tent, as our music is loud and lively and we’re open until 11 p.m. Stretch out the muscles that get tight during cycling. These yoga classes will help you stay close to your breath this week. Not only will this help you feel better, but stretching can also help prevent injury. And you’ll meet other great people who like to do nice things for their bodies too. There are typically two sessions each afternoon, depending on the length of the riding day. Mats are provided. Check the daily schedule at Rider Services. Megan Moseley, PT, LMT, of Bodywise Physical Therapy, will be available everyday after the ride for free injury consultations including a brief evaluation, hands-on treatments including myofascial release, graston, cupping, mobilization, kinesio-taping. Megan will educate you about the origin of your symptoms, instruct you in stretches, exercises, and self-care techniques to get you back on the road! Additionally, Megan will help coordinate a plan of care with massage therapists, acupuncturists and bike-fitting experts. Get your CO week rolling early by attending Megan’s stretching and injury prevention class from 4-5 p.m. on Saturday, your first night in camp. This a fun, interactive, and educational class geared toward teaching you core exercises and stretches to balance your body, prevent injuries, and relieve pain you may have due to the repetitive stresses and chronic positioning related to cycling long distances. The Bike Gallery supplies a team of bicycle technicians who provide mechanical support on the route and at each overnight location. Technical support is available for emergency repairs of well-maintained equipment. It is your responsibility to make sure your bicycle arrives in good condition. Labor is available at a discount. Any repairs performed along the route will be basic in nature and designed to get you to camp for the evening. Bike Gallery offers a bicycle rental program on Cycle Oregon events. Bicycle pick-up and return is on-site at the Cycle Oregon starting and ending location. Sizes are limited so call early for reservations. For more information, see the Bike Gallery’s website or call 503-281-9800. One bag per person. Everything goes in that bag – tent, clothes, etc. 65 pound limit. We hand move over 2,000 bags, twice a day. Please abide. Do not strap/lash bags together. This may injure baggage volunteers. Participants must pick up and deliver their own gear from the baggage trucks at each overnight camping area. Truck trailers are numbered and fitted with stairs. Remember to note the trailer in which you load your gear so you can locate it easily at the next site. Local volunteers are usually available to carry bags from the trucks to the campsite and, again in the morning, from the campsite to the trucks. We encourage you to tip the porters ($2 per bag is suggested), as this benefits local volunteer groups. Baggage must be dropped by 8:30 a.m. each morning and picked up by 8 p.m. each night. Riders are responsible for getting their bags to and from the baggage trucks by the designated times. Please mark your gear bag with additional personal identification tags (including a phone number). A distinctive tag, such as fluorescent tape or a colorful ribbon (don’t use pink, we use that for bus bags), will also help you locate your bag among the 1,999 others. Cycle Oregon provides three hearty and well-balanced meals each day during the event, with plenty of choices. Both dinner and breakfast are served at the overnight site, and lunch is served on the course. We know that riding all those miles requires a lot of calories, and we don’t leave you short on that count. We offer vegetarian options at each meal; if you have other dietary concerns, please let us know in advance. Our daily menus will be posted here as soon as they are finalized, usually by early summer. Every evening at 7:30 p.m., the Cycle Oregon community gathers around the Main Stage. The evening meeting is part communion and part comedy. It’s a great opportunity to get the latest weather forecast, hear tips about the next day’s route, learn about the places we’re visiting and catch up on some local folklore. Best of all, it’s always followed by terrific entertainment. Each night’s campsite will feature a beer garden with craft-brewed ales. There will also be a selection of great wines along with daily cocktail specials. The Beer Garden is open daily from noon – 10 p.m.
Other food available for satisfying those after-ride cravings includes the revered Nossa Familia coffee, Al Forno Ferruzza pizza and local community specialties. Cycle Oregon showcases some of Oregon’s most talented performers, from country rockers to clog dancers, blues divas to jazz greats. Performances are scheduled each day on the Main Stage. After the nightly announcements at 7:30 p.m., we bring out our headliner act – these are some top-notch performances you won’t want to miss. On Saturday, we will lead a Classic 101 from the main stage. Please join us whether you’re a newbie or a veteran. Megan Moseley, Cycle Oregon’s resident PT will lead a clinic on injury prevention as well. Typically there are several lectures on Geology and History throughout the week to add context to the route. Check the schedule at Rider Services for more details. Course support services are available only during the course hours. If you leave before the course opens or are still riding after the course closes, there will be no support services available. All Cycle Oregon riders still on the course after 6:30 p.m. (4 p.m. on Saturday) will be offered a ride to camp. If you choose not to take the ride, you will be on your own to get back to camp. Additionally, Cycle Oregon retains the right to move riders ahead who are unreasonably far behind during appointed course hours.. Lunch: 9:30 a.m. to 2 p.m. Lunch is provided on the course each day, usually near the halfway point. Lunch sites will be complete with food, beverages, restrooms, water, bike mechanics and gear drop. Usually lunch will consist of a robust sandwich or hearty pasta salad, with chips and a cookie to round out the meal. Take your time and enjoy the setting. Lunch is a great time to chat about the morning’s ride and review the route ahead. Rest Stops & Water Stops: 7 a.m. to 4 p.m.
Usually, two rest stops will be available along the route each day to provide water, beverages and nutritious and delicious snacks. Rest Stop signs alert riders when one is just a mile ahead (or look for the banana on the route map). You can also see the location of each Rest Stop on the maps that will be inside the rider packet. In addition to the Rest Stops, one or two Water Stops per day will provide water and restrooms (indicated by a water bottle on the route map). Each day at the first rest stop and at lunch, you can drop off a limited amount of clothing to be taken to the evening’s campsite. This service is for small items such as jackets, tights, leggings, gloves, etc. No half-eaten sandwiches, half-stuffed panniers or other oddities will be transported. Gear drop can be picked up near Rider Services, generally between 4 and 5 p.m. There will be multiple SAG vans on the course each day. They are available to transport cyclists as needed due to mechanical problems or medical injuries. They also have extra water, snacks, and sunscreen if needed. If at any time you need assistance, please signal a SAG van with a “thumbs down” signal. If you do get into a SAG van, you may not be transported directly to camp. SAG vans typically wait until they are full to go to camp. There will be a SAG van available each morning to transport cyclists from site to site if cyclists are not feeling well or are injured. Go to the Medical tent and get a medical release for riding the medical SAG . Bring that form to Rider Services before 8 a.m. to sign up for this shuttle option. The Bike Gallery will provide mechanics on the course, at rest stops and at lunch. They will make basic repairs in order to get you to an overnight campsite. Cyclists will incur any charges associated with parts or extensive repairs. MetroWest provides four Advance Life Support ambulances that give around-the-clock medical support on the course and in camp. If you require medical attention on the course, you should notify a SAG van, ambulance or staff vehicle with the “thumbs down” signal. Each rider will be asked to sign the ride waiver when picking up their rider packet. The rider packet contains a wristband, bike number, baggage tag and course maps. Please bring a photo ID to show the volunteers in order to receive your packet. Your wristband should not be removed unless you choose to leave the ride. Until you have checked in and are wearing a wristband, you will not be identified as a participant and will not have access to meals, course support, etc. If you leave the ride, it is important that you check in with Rider Services to let them know you are leaving. Saturday // Sept 7 // 11 a.m. to 9 p.m.
Sunday // Sept 8 // 6 to 8 a.m.
No camping will be available on the last Saturday of the ride. Consider getting a motel room in the area or finding a nearby park. Space is very limited in some of our host sites, which limits our capacity for Rider Guests and Support Vehicles. We cannot accommodate personal vehicles beyond this limited capacity (even if it is just a Prius). A registration fee of $500 is required for each Rider Guest/Support Vehicle. The fee includes access to the services provided at the overnight site including showers, restrooms, beer garden, daily entertainment, other food vendors, and medical tent. It does not include food. Food can be purchased for an additional fee during the registration process. Vehicles must register – Anyone accompanying a rider through the week in a vehicle must register through the Rider Guest/Support Vehicle program. Tent Camping – Some of the Rider Guest/Support Vehicle locations will have grass nearby for tent camping, others will not. Rider Guests and Support Vehicles drive alternate routes to each overnight location – To enhance the safety of riders and their overall experience, Rider Guests and Support Vehicles will be asked to take alternate roads to the overnight site wherever possible (directions will be provided). Rider Guests and Support Vehicle drivers are not registered riders, and so should not be riding the route each day. Rider Guest/Support Vehicle campsites will be as close to the rider venues as possible – While the Rider Guest/Support Vehicle area is not an RV park – more likely it’s a city park, someone’s field or a parking lot – hook-ups (water, electricity and dumping stations) are provided when available. Quiet Hours – When possible, we try and locate vehicles that have generators separately from those without. In addition, the Rider Guest/Support Vehicle area will observe quiet hours (no generators) from 10 p.m. to 6 a.m. every day. Click here to purchase a Rider Guest vehicle registration and Meal Band.